dahyun's hair on the allure cover... i wish it had looked like that for this comeback! 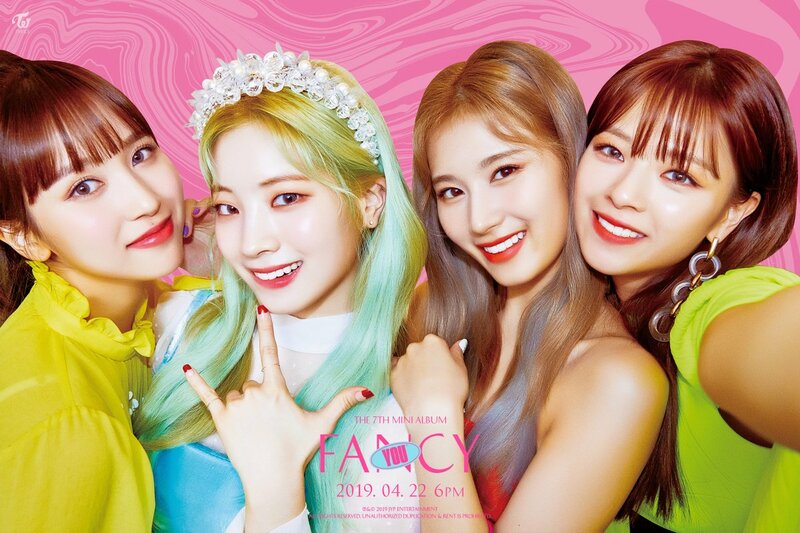 That Allue cover with Jeongyeon in that white dress is so weird, and so awkward, lmao. This concept somehow reminds me of Cheer Up? Like they're having their basement party and imagining themselves in the retro futuristic outfits. I'm interested to see how they take their own classic formula into a newer, classier concept as the trailer hints at. What is Love? also had the strongest Cheer Up/TT vibes of all their latest singles (sound-wise as well) and the singles after had at least something slightly different for me (though not drastic, I'm sure they could have gone further but I understand them going slow), so it looks more and more like the beginning of their transition and I hope Fancy can cement this even more.